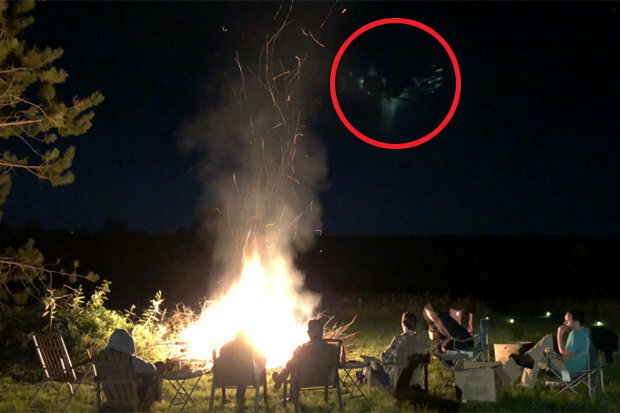 The anonymous believer was on a trip to Maiden Rock, in the US state of Wisconsin, last week when they decided to take a snap of the group sat around the large camp fire. But when they looked back over the iPhone pics they noticed a strange vessel with glowing green lights hovering above the group. They added: “I was with eight other people. None of us saw it with our naked eye, but I’ve showed the photo to several of the other people that were there and we all agree it’s weird. Could it be possible that there is some connection between these two sightings? “Within about 5-10 seconds I noticed some movement flying in front of the gold-coloured building on the right hand side of my TV screen. “It was moving very fast, I thought maybe it was a fighter jet. I rewound the scene a few times and viewed it in slow motion, forward and reverse. You can see a photograph of that “UFO” right here. An extremely strange UFO sighting off of the California coastline has created quite an uproar over the past several days. This UFO (or fleet of UFOs as some are calling it) was filmed by numerous people in both the United States and across the border in Mexico. So we have multiple confirmations that the UFO sighting is real, and so far nobody has been able to explain it away. In the end, it could be some type of really bizarre secret military project, but why won’t the military admit that if that is the case? One video on YouTube captured footage of this unidentified anomaly for six minutes, but unfortunately it was so far away that we weren’t able to get a really good look at it. A 35-year-old man named Javion Hill created quite a stir when he posted a photograph of a giant square UFO that he witnessed hovering near Charlotte, North Carolina on his Facebook profile. Hill claims that he took his photograph on the night of August 18th, and another witness has chimed in and said that he spotted a UFO in that area that night as well. If this photograph is legitimate, the UFO is absolutely enormous, so it is quite understandable why Hill was so shaken up by this incident. Before taking this photo, Hill said that he didn’t “necessarily believe in UFOs”, but he sure does now. Video footage has emerged of the moment one man may have captured something he shouldn’t while on the way to work. The anonymous source was driving when he noticed something unusual in the skies above El Paso, Texas. He pulled out his phone to record, and when he checked it out later he was left stunned by the footage. 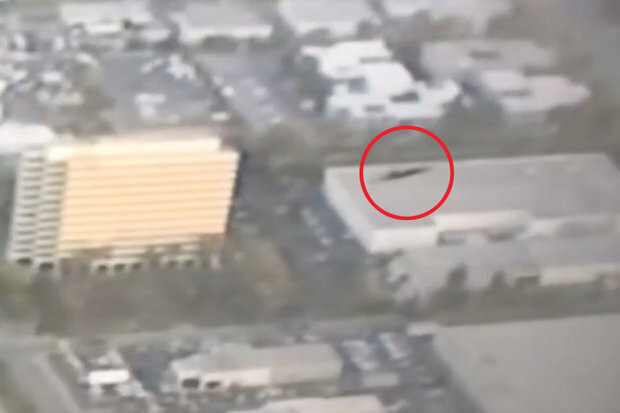 It shows what appears to be a triangular-shaped aircraft hovering above him. So we have recent credible UFO sightings from the east coast, the west coast, the north and the south. Many of the people who took these photographs didn’t even believe in UFOs before these encounters. Is there a reason why UFO activity appears to be spiking right now? Could it be possible that something big is about to happen?